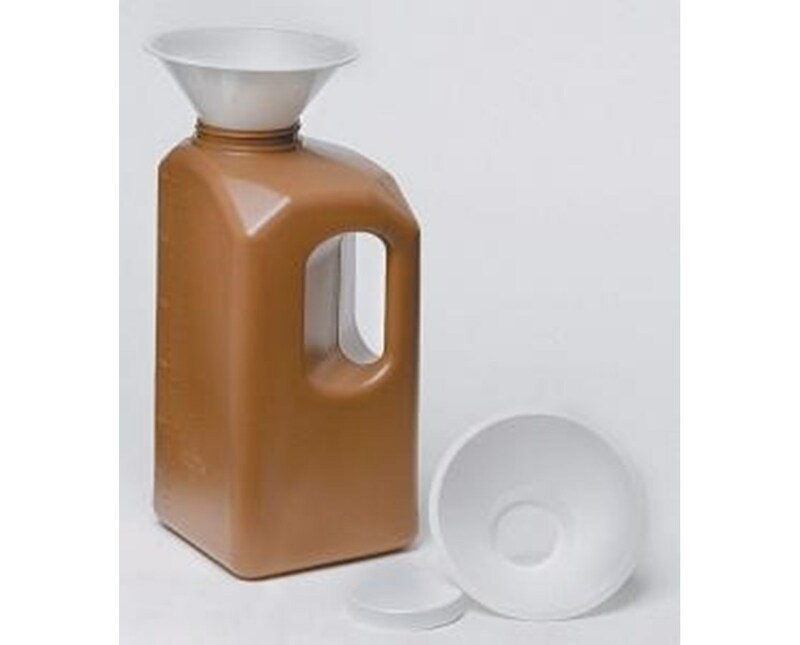 The Urine Specimen Container is made from plastic material and is amber in color. It is latex free and graduated to 101.4 oz (3000 ml). 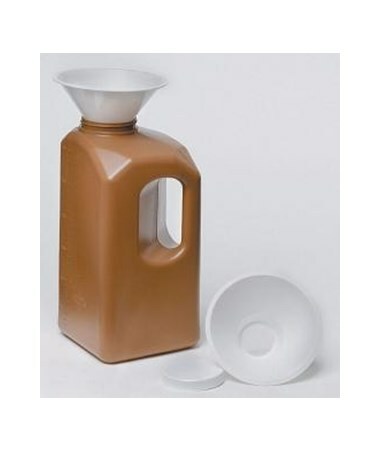 The container can be used with a calculi strainer. Purchase a Urine Specimen Container right here online, select a quantity from the drop down above and press add to cart!